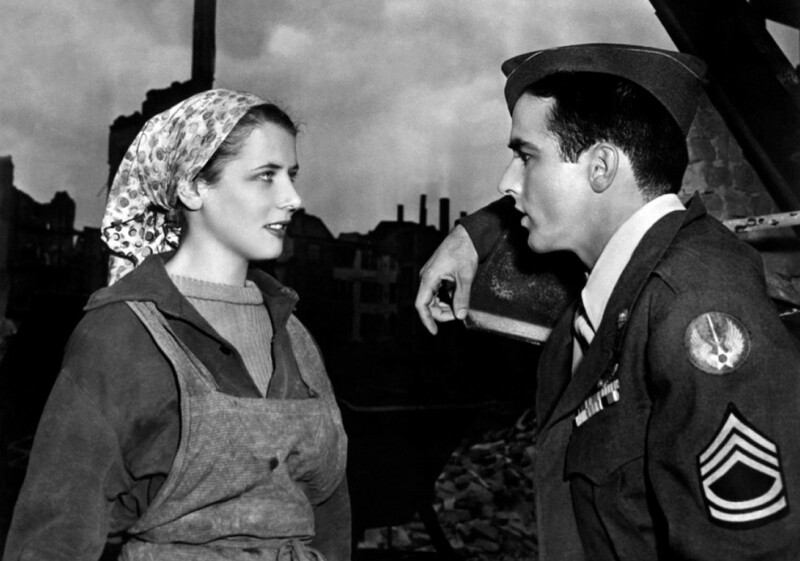 A clunky cold war quasi propaganda film, The Big Lift focuses on the mammoth American airlift of supplies to Berlin between 1948 and 1949 that broke a Soviet blockade and kept the western-controlled sectors of the city alive. 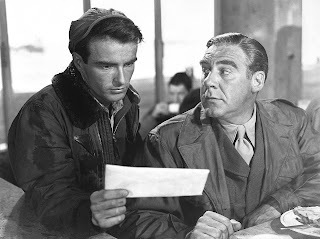 Sergeant Danny MacCullough (Montgomery Clift) and Sergeant Hank Kowalski (Paul Douglas) of the 19th Troop Carrier Squadron in Hawaii are called back to Europe. The US Air Force is embarking on a massive airlift of fuel and food to sustain the civilian population of war-ravaged Berlin, after the Soviets blockade all road and rail access in an early Cold War confrontation. Kowalski carries deep emotional scars from his time as a prisoner of the Germans during the war. MacCullough is eager to experience Berlin, and more open to engaging with the population. With the help of a journalist MacCullough gets his chance to explore the city, and finds destroyed infrastructure and a traumatized population. He meets and starts a relationship with beautiful war widow Frederica Burkhardt (Cornell Borchers), a seemingly resilient victim trying to recreate a viable life. MacCullough also befriends Frederica's neighbour Stieber (O.E. Hasse), a jovial Soviet spy. Meanwhile, Kowalski starts a relationship with Gerda (Bruni Löbel), a less sophisticated local woman who is nevertheless curious about the American way of life. Through a series of mishaps MacCullough finds himself stranded in Berlin without a uniform and identification, and experiences first hand the tension of the Cold War and the survival instinct created by post-war social upheaval. Directed and written by George Seaton, The Big Lift is an uneven mix of pseudo-documentary, Hollywood adventure and blatant Cold War propaganda. Filmed on location in a devastated Berlin as it transitions from World War Two battleground to Cold War ground zero, the film features members of the US military playing themselves, supporting just the few professional actors. For a film dedicated to the Berlin blockade, Seaton does quite the miserable job explaining the strategic context. After a narrated opening, the film drops into the tactical minutiae, with scene after scene of cargo planes taking off, flying and landing, and men scurrying around on airport runways loading and unloading the planes. The opening hour is excruciatingly slow, and often appears as an unscripted, badly edited series of machines-in-flight sequences. The wooden line readings of the amateur cast members do not help. Things marginally improve when MacCullough and Kowalski start their on-the-ground exploration and romances. The political discussions prompted by Gerda's questions are interesting and provocative, but eventually err on the side of childish propaganda. Kowalski's emotional scars are close enough to the surface to make him an unpredictable boor, while in contrast MacCullough is naive, trusting and easily falls in lust with a stranger. The character of Frederica is by far the most interesting, but she is unfortunately compromised early into a two-faced corner. As any kind of drama, the film is overlong and inconsequential. The better scenes are on the streets of Berlin, where entire neighbourhoods have been reduced to mounds of rubble. Residents hand-pick through the destruction, trying to clear away the remnants of the war, while simultaneously being re-victimized by the new dark clouds of a superpower conflict. The Big Lift fails as entertainment, but finds a better purpose as a documentary chronicle of a city reduced to rubble with its literally shell-shocked residents lurching from one global conflict to another.